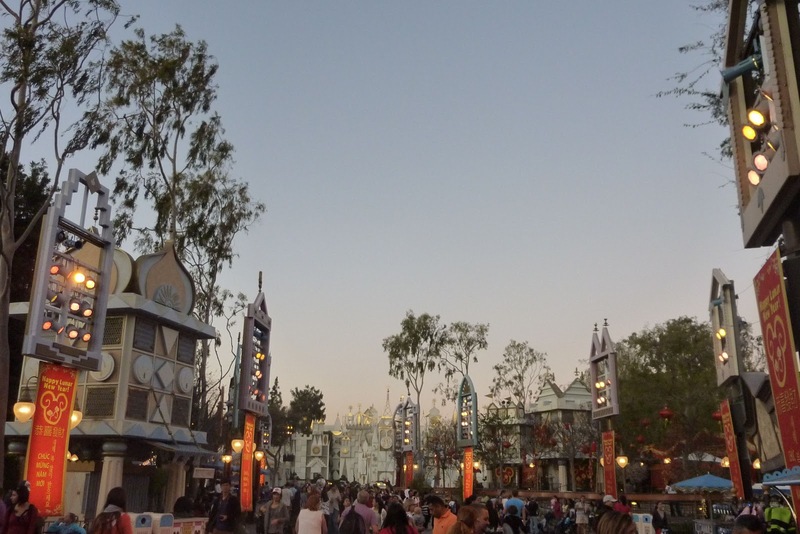 We made our first visit of the year to Disneyland this evening. We had a nice dinner at the Plaza Inn, checked out the brand-new Jolly Holiday Bakery, and took in the Chinese New Year decorations along the walkway to It's a Small World. It was a nice day today, although the wind was picking up enough by early evening that tonight's fireworks show had to be cancelled. I'll be back to share some photos of the new Jolly Holiday Bakery Cafe later in the weekend. Update: Here's the Jolly Holiday post! Jolly Holiday Bakery? Does that mean raspberry ice and then some cakes and tea? I ate there last week. Had the quiche and house salad. It was very good. I had planned to go today but came down sick! It's been a long time since I've been kept away because of that. It looks like I won't be seeing the Lunar New Year stuff so thanks for the photos.